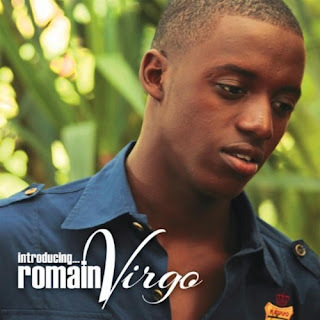 BLUEPRINT: Reggae singer, Romain Virgo has continued to increase his fan base in countries as far away as Alaska. The program, “Vibes of the Time” on Anchorage, Alaska’s KRUA 88.1 FM compiled a list of their Top 30 reggae tracks for 2010 and Romain’s, Murderer holds the number 17 position. Also among the top 30 are Beres Hammond, Jah Cure, Queen Ifrica, Busy Signal and Tarrus Riley. The list however, is dominated by overseas reggae acts such as Sylvanus, Kalli Blaxx, Fire Star, Dub Matix feat. Kulcha Ites and others. Romain says, “It was surprising to know how far up north my music is being accepted; somewhere like Alaska that many of us don’t even think about. It’s a great feeling though. Fi real, it is.” Also hitting the international charts is his single, Dark Skin Girl, which sits at the number 8 spot on the Mediaguide Reggae Chart after jumping from the number 31 position last week. The single was ranked after compiling the total plays for the week on radio stations including KABF 88.3 in Little Rock, Arkansas, KAZI 88.7 in Austin, Texas, KCS8 91.9 in Santa Barbara, California, KLSU 91.1 in Baton Rouge, Los Angeles, UJFM 95.4 in Johannesburg, South Africa, WQHT 97.1 in New York and others. Additional artistes also in the top ten on the Mediaguide chart are Jah Cure, Nas an d Damian ‘Junior Gong’ Marley, Ricky Blaze, Serani and Gyptian, with Hold Yuh enjoying the number one spot. Mediaguide uses proprietary digital fingerprinting and watermarking technology to monitor and measure music and advertisement airplay on more than 2500 commercial, non-commercial and college radio stations in over 150 US markets, real time, 24/7. Mediaguide information also provides business insight to performing rights organizations, record labels, broadcasters, market researchers and advertisers. The company was founded in October 2002 by the American Society of Composers, Authors & Publishers and ConneXus Corporation. Where can i listen of his track song , Is there anyvideo in youtube ?